Varanasi hit me like a ton of bricks. I had braced myself for the intensity of movement, of very many people in a very small space, for traffic chaos and indifferent town planning. But coming down from a relatively meditative sojourn through Nepal, the contrast still flooded my senses instantly. The streets were crowded with milling traffic of the most diverse kind I had ever seen. Taxis and tuktuks were sharing the semi-paved roads with cars of all sizes, bicycles and rickshaws all in the mix, together with cattle and pedestrians. Horns blaring constantly – and I mean literally, constantly. Dust flew about in the dry air of August, painting everything in sight with a beige-brown powdery coat. To make matters worse, I made the error of staying in a hostel that was not right within the old city. To be sure, it wasn’t very far away. On the map it looks highly walkable – and is. But traffic and the bustle and the noise and the gauntlet of peddlers and rickshaws made the way to the ghats feel much, much longer. That night I finally managed to fall asleep, amid the sound of honking vehicles on the street, that never seemed to let up even into the early hours of the morning. Thank heavens for my ability to sleep through pretty much anything, pretty much anywhere. Tomorrow, I would attempt to explore Varanasi. When people talk about coming to Varanasi, what they mean is the area of the ghats along the Ganges, and the old city behind them. The ‘ghats’ refer to the areas of riverbank, where stone steps are laid for people to descend from the city to the holy river. There are many such spots, more or less connected to each other. Whether you can easily walk across from one ghat area to another somewhat depends on the water level of the Ganges. If the level is low, it is easier, as the lower steps do not have the occasional railings or banks of walls in the way. However, not all the ghats are equally interesting. Two stand out in particular: Dashashwamedh and Manikarnika. The former, for being the main ghat receiving Hindu pilgrims. 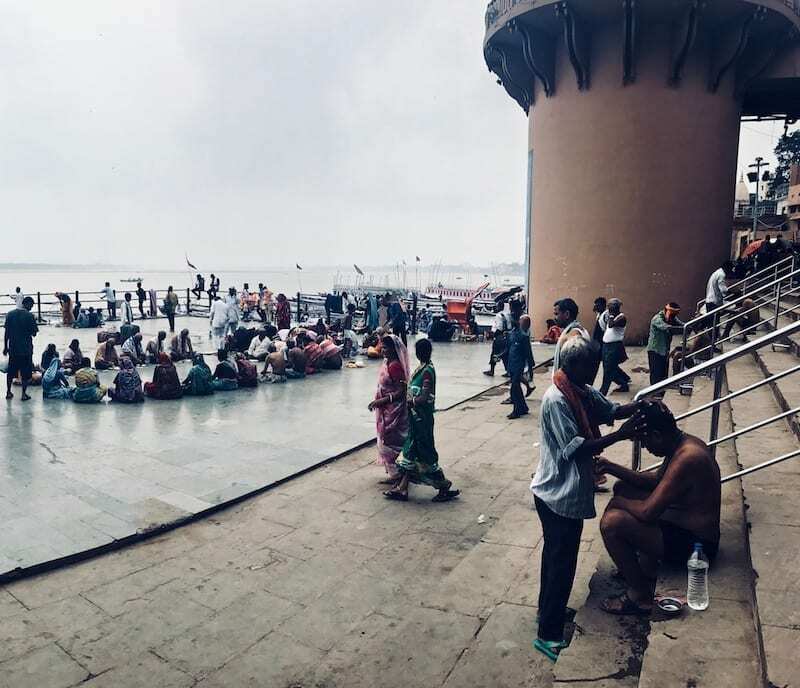 The other, for being the main ghat where funeral cremations take place for those devotees fortunate enough to be laid to rest in the holy Ganges. I wasn’t entirely sure how I was going to explore Varanasi. Nor did I really want to do it in a very regimented way either. I’ve also heard that in theory you could arrange for a Varanasi day tour of sorts – but I wanted to see what happens if I go freestyle. So I figured, these two ghats would probably be a good place to start. There aren’t exactly clear signs on the roads in Varanasi. Or maybe there was, but there was a heck of a lot of things going on in the streets to pay attention to, that I completely missed well-behaved things such as road signs. Nonetheless, the hostel gave me a map, and as long as I was pointed in the direction of the Ganges, I was pretty sure I’d get to some kind of ghat eventually. Hopefully the one I meant to get to, Dashashwamedh Ghat. Rickshaws and tuktuks hailed me all along the side of the road, offering rides as I made my way along the busy, dusty, road. But on the first day, I thought I would walk the distance, so I’d know the way. I turned them all down. Closer to the river, the road forked, but they seemed to be going the same way towards the Ganges. I randomly picked one. The route passed through a market of sorts. 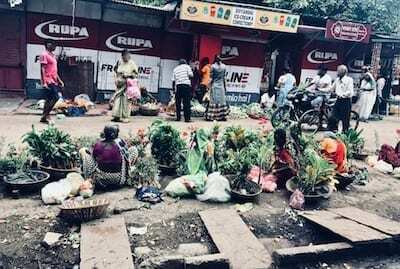 Little shop shacks lined the lane, and down on the ground by the roadsides were sellers of vegetables and garden plants, rendering the way unexpectedly green. Just as I was beginning to doubt I was on the right way, the lane opened out to a wide space, ending in a series of great steps down. Beyond, the view cleared away to reveal the waters of the holy Ganges. 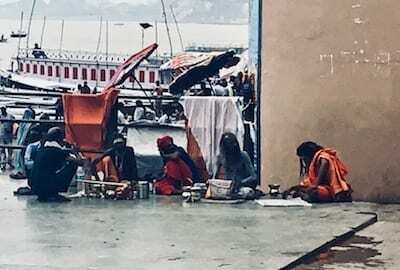 The most prominent of the main ghats of Varanasi, Dashashwamedh Ghat is a main draw for pilgrims due to its special sacred stature according to Hindu legend, being linked to both Lord Brahma and Lord Shiva of the Hindu trinity. “Ten-Horse-Sacrifice” (Dashashwamedh) refers to the 10 horses that were sacrificed by Lord Brahma to welcome Lord Shiva to the earth. A main draw of this ghat is the Ganga Aarti ceremony which takes place there every evening, with spectacular fire displays ending with the floating of numerous oil lamps down the Ganges. The ceremony could be watched from the riverbanks, or from the river (by hiring a boat). The ghat is also close to Kashi Vishwanath Temple, one of the 12 holiest Shiva temples. (I meant to visit the following day, which was a festival day, but this was perhaps not the best decision. Festival day means an extremely long line of worshippers, numerous guard checkpoints and a need to put your things in a locker. In the end I decided not to be in the way of actual worshippers, and changed my plans). On a normal morning, though, Dashashwamedh was relatively uncrowded. Here and there, individual pilgrims complete their rites. A group of believers sit together. Tourists and locals hang about the steps at the water’s edge, and boatmen watch hopefully for a fare. I saw a few sadhus in a corner – holy ascetics of Hinduism – with bluish earth-caked skin and dreadlocks. Not being quite sure what to do with myself, I decided to figure out where the cremation ghat was. I was curious about the burning ghat because of the cremation rites that take place there. 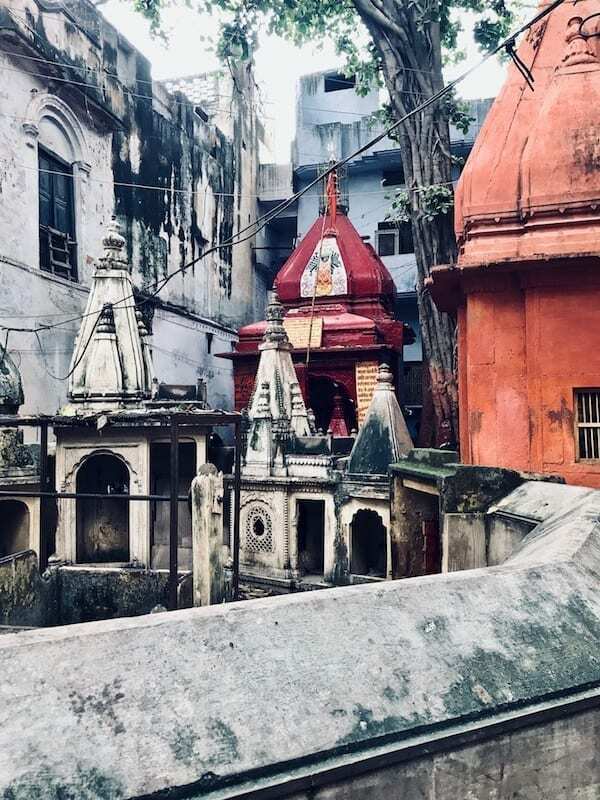 They feature frequently in travel articles of foreign visitors to Varanasi, who invariably found it something in between fascinating and morbid – perhaps because of how different it is from more Western norms of dealing with death and the body of the deceased. But I knew that Varanasi was a prime pilgrimage destination for Hindus. And I knew that Hindus generally place a high value on one’s ashes being returned to the Ganges. It was unsurprising then, that being cremated in Varanasi by the banks of the Ganges, would have a special meaning. In one way, it was a sentiment I somewhat understood. Generally speaking, a Muslim also places a special value on passing away in Mecca, and being buried there in its hallowed grounds. Taking personal responsibility to prepare your loved one’s body for its final rites, is also a concept that is familiar to me – it is ok, but not preferred, to delegate it to a stranger, such as an undertaker. But on the other hand, cremation is not a familiar norm for me. By this time I had already seen a cremation, on my first trekking day in Annapurna. But that was from a far distance, far across a river. So I was curious, if I observed the rites up close, whether I would feel a morbidness to the proceedings like the other travellers. Or would it simply feel, like a funeral? Initially I intended to simply walk along Dashashwamedh Ghat towards Manikarnika, the cremation ghat. 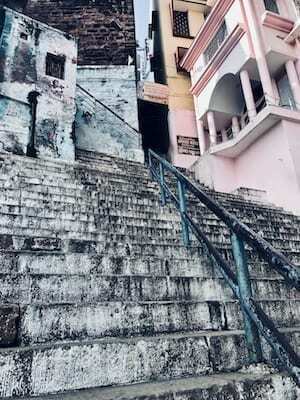 But upon reaching Manmandir Ghat, the way onwards was obstructed – so I was forced to re-ascend and enter the warrens of Varanasi’s ancient alleyways. This part of Varanasi reminded me strongly of the warrens of Fez Medina, in Morocco. Except the relatively higher humidity rendered the atmosphere quite a bit mustier and moldier and grubbier than the Mediterranean/ North African close-packed old cities. But structurally, in the way it had grown organically over long ages, it felt similar. So I knew, I could look at my map for comfort, but really it wasn’t going to be much use. But I gave it a shot. I figured, considering how important Manikarnika was, surely I would eventually end up there, just by rambling? But no. Instead I came upon an ancient observatory, Jantar Mantar. (It amused me greatly that everyone else seems to go to Varanasi and immediately sinks into its spirituality. Yet I, a scientist, came to Varanasi, and despite trying to find its religious heart, its alleys routed me to a place of science!). I ran into an astrologer, who offered me tea in his shop and could not understand why on earth I would want to pay 100 rupees to visit a scientific observatory. I feigned interest in his need to ship something to Malaysia, and promised to check out his shop online before considering to help him out. After rambling aimlessly for a while, I ended up back again to Jantar Mantar. The entrance fee was actually 200 rupees (~$3). I decided to go in. And afterwards, I rambled more. And still, I did not reach the burning ghat. The heat of August and the confusion of the Varanasi alleys got to me after I finished with Jantar Mantar. I retreated into a nice-looking Western style cafe for an air-conditioned lunch – there are not many such cafes in Varanasi. Within its cool quietness, I took stock of things. All in all, it was a decent enough morning considering I didn’t set out with a plan. 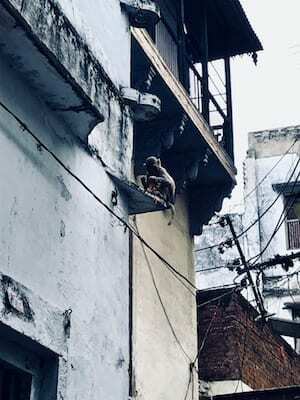 But unlike Pokhara or Kathmandu, Varanasi with its overwhelming denseness and ‘everythingness’ and the need to watch out for scams, began to feel somewhat more impenetrable. I wonder how I might induce serendipity to help me out here. So there I was, standing somewhat uncertainly back at Dashashwamedh Ghat. 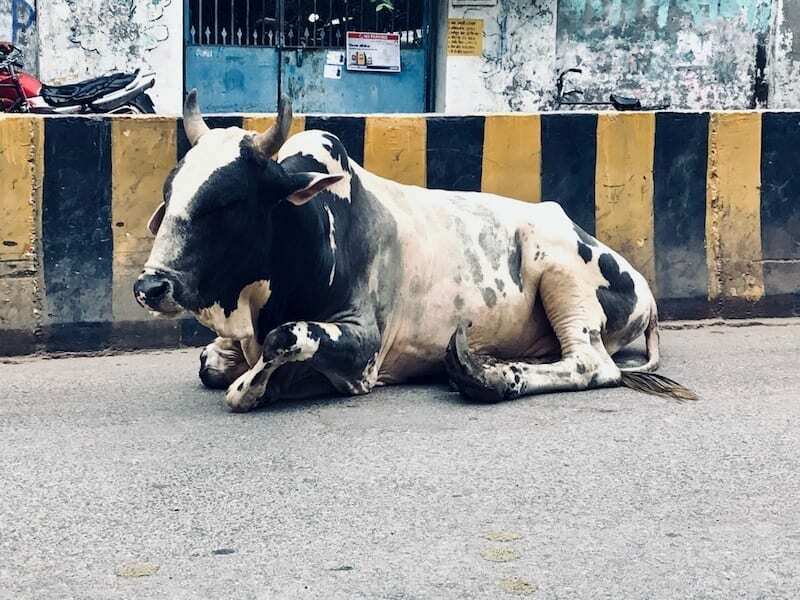 Wondering if I should leg it up the busy streets and be squished between cattle and traffic, trying the outer route towards Manikarnika Ghat. Or if I should take a boat ride on the Ganges. And then an Indian man approached me. Not very tall, dressed in knee-length shorts and a shirt in dark colours. A bandage on his shin, gleaming white against his dark skin. Moustache and short beard, and ochre ritually smeared on his forehead. I can’t quite remember exactly how it happened. He spoke excellent English, speaking in a quiet, slow, almost melodic accent. He struck a conversation with me. Welcomed me to Varanasi – his city. Warned me about false tour guides who were not even local Varanasi people, who would charge me for a tour but tell me untrue tales about the city. Not he. This was his city, his city of Shiva. He offered to show it to me – and absolutely no money would be charged. He only wanted me to see his Varanasi. I was half certain by the end of it I would somehow be charged money. Or have to buy something from somewhere. I am, after all, Southeast Asian. While not a thing to be concerned about in Malaysia, it’s pretty common in the rest of the region. But there was something of love in his voice when he spoke of his Kashi. And an ordinariness that was different from the practiced polish of the astrologer. Perhaps this could be the answer to my search for a lead. And if it turned out to be a good Varanasi tour, was it really such a big deal to tip him for it? I consented. He immediately led me into an alley that branched from the wide ghat. I asked him where we were going. “My neighbourhood,” he replied. His favourite temple was there. 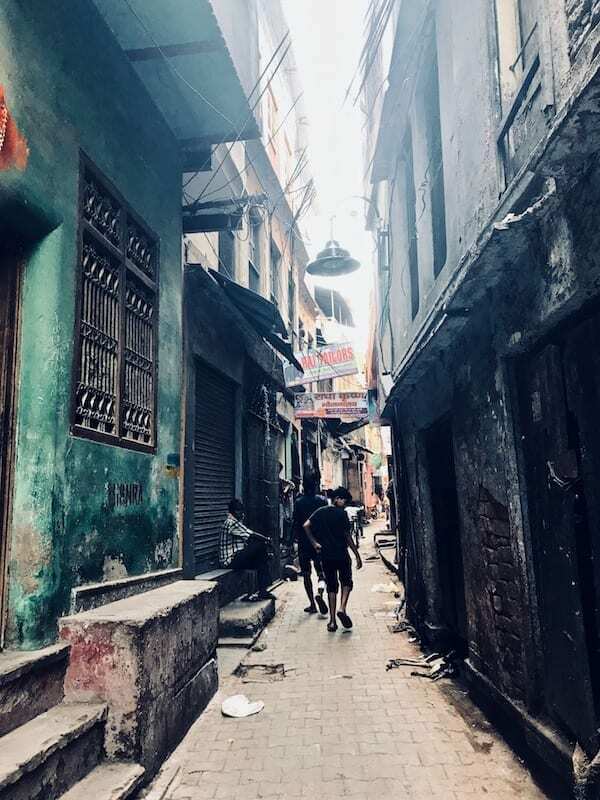 ‘Neighbourhood’ in Varanasi’s old city is not a clear, designated area where a distinct residential sort of use is apparent, separated from other distinct areas. No obvious physical indication separated any part of the old city areas from another. Perhaps, it was something only locals would know – more of a mental or social boundary, rather than any sort of physical or symbolic one. We passed by narrow streets with painted buildings and streets with paint peeling from the walls. Little courtyards peeked from down various branches off our route. Occasionally a beautifully carved archway – perhaps the entrance to a shrine, or a more upscale lodging. Over many of the thresholds was often an elephant effigy. Ganesh. 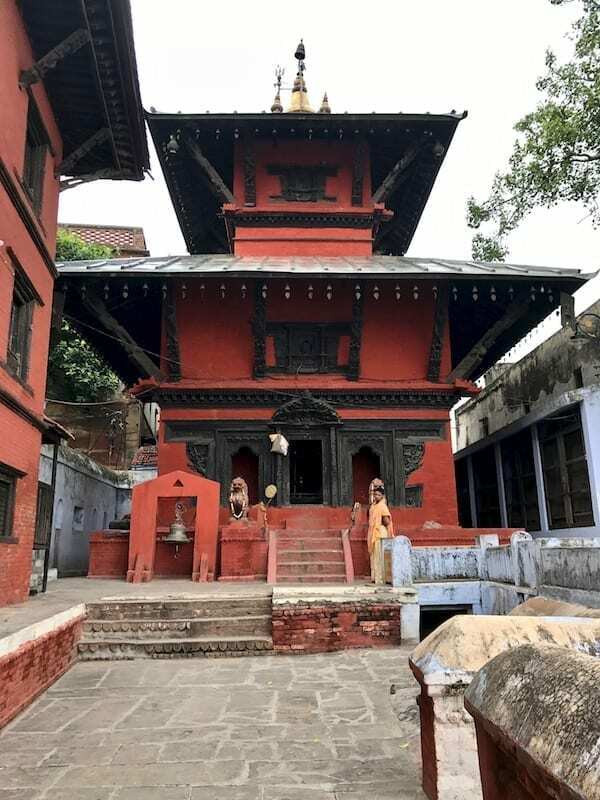 I remembered something my Kathmandu Durbar Square guide had told me about Ganesh. 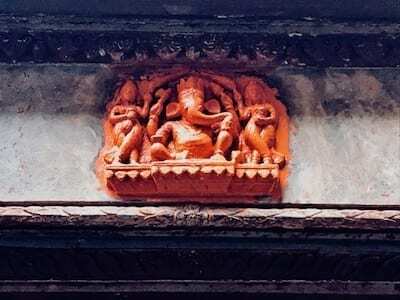 It was the reason why Ganesh is an important god, and presides over the entryways of many Hindu homes. “If you want the favour of the parents, you ask from their son,” the guide had explained. The parents of the elephant-headed god, are none other than the patron deity of both Kathmandu and Varanasi – Lord Shiva with his consort Parvati. Wow, I guess I did remember things from the lecture-tour after all! We arrive at a little courtyard, that spread out around an old tree. Its roots had grown over each other, merging into the trunk. Beneath its high branches, were a collection of shrines. My local guide came reverently to one. My personal favourite, he said quietly. He told me something else about the shrines – its age, and who it was dedicated to. I do not now remember. He spoke about how old it was, and how old Varanasi was. The oldest city in the world, he claimed. He urged me to make an offering to the shrine. But it was not the way of my completely monotheistic faith, so I declined. “It is not the way that I worship,” I said diplomatically. 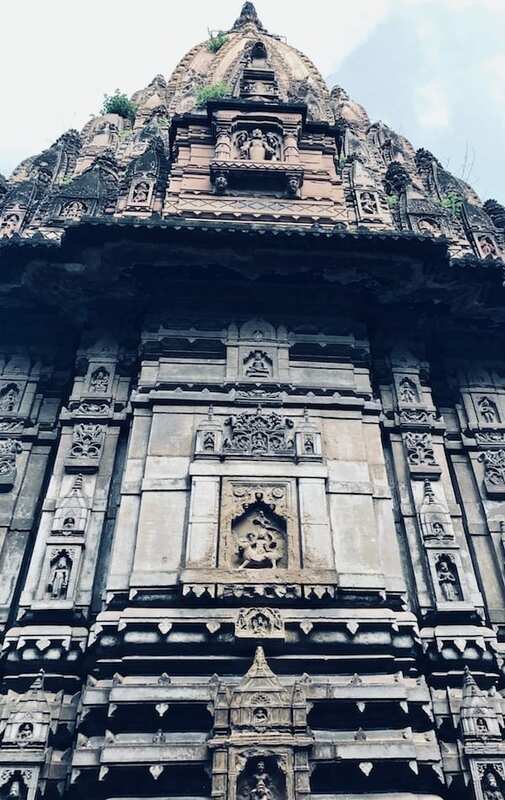 I was not 100% sure if it was better or worse to directly reveal my religion just yet, to a clearly devout Shiva worshipper, in a country with such a fractured history between the two communities. Najindran seemed not to understand. Perhaps no one had declined before, out of all the foreign visitors he had shown around. But I was not looking for anything. My spiritual well was not empty, and I was not rebelling. I was visiting as a friend, a delegate. Just there to watch, and listen, and understand. I can’t remember whether I asked, or he offered to take me to the burning ghat. But we set off for it after that. He led me quickly and surely through a series of alleys, progressing onward and onward. Again, I was transported back to Morocco, when my parents and I were led through the alleys of Fez by our guide, absolutely lost on our own. No map really picks out every turn and every lane, and every branch of every alley. But onward we went, and gradually back down – descending towards the river. We came upon a tunnel – almost like a culvert – that ran by the river. “In here,” said my guide, and turned in. I hesitated, not entirely sure I should follow into what seemed to be confined space. He turned and motioned for me to come. “We are passing by the docks, where the boats would land,” he explained. I remembered such medieval docksides in Europe. Indeed, they weren’t so very different. I followed. The tunnel ran straight. It was dry and clean, and paved with good stone. Much better constructed than a lot of the city that lay behind the riverside. Occasionally a wall opens to the sky, and the midday sun spilled into the tunnel with a blinding light. We passed by branches in the tunnel, leading down a short set of steps to the river. As he walked, my guide explained that they led to the boat moorings. “Who lands there?” I asked. Pilgrims. As far as Nepal. Some groups of pilgrims come to Varanasi by boat, and they land in these river landings, entering the city through the stone arches. “Nepal?” I repeated. I told him I was just there. He seemed pleased. We emerged back into the sunlight. Not too far away was a temple he especially pointed out to me. “Nepal temple,” he said. Indeed, it looked exactly like the architecture I had seen in Nepal. There was the smell of wood smoke in the air. Manikarnika Ghat was near. 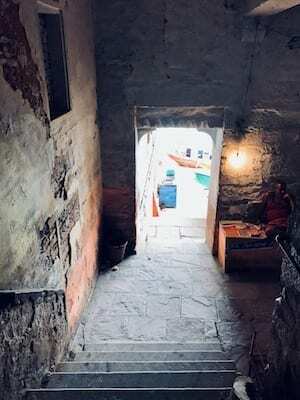 Unexpectedly, Najindran turned into another alley, which sloped upward. Eventually we came to a part which was stacked high with wood faggots, which in themselves formed alleyways around them. Obviously, wood for the cremation pyres. As we walked, my guide explained that the cremation ceremonies are private affairs. So tourists would not be able to directly see it, and no pictures should be taken. However, there was a vantage point that he could take me to, so that I could observe discreetly. But first, we would have tea. 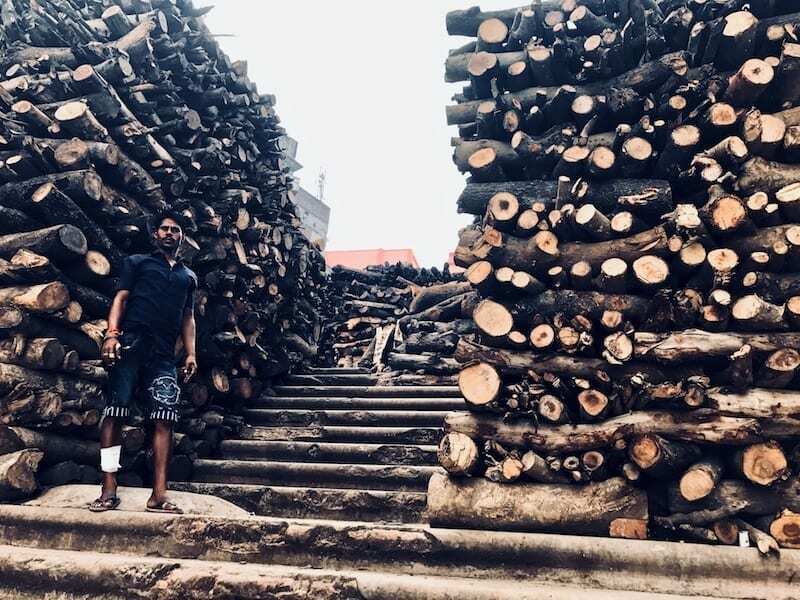 There was a little nook of a shop wedged against the side of the street that led down to the burning ghat past the stacks of wood. My guide hailed the shopkeeper, and we took a seat by a tiny table. He ordered chai for us both. As we waited, Najindran spoke to me again, in that reflective way of his, of his ancient city. The oldest, he reiterated. Founded by Shiva himself, the city was older than everything. I balked at this. No matter how old a city is, it is not older than what was before it’s founding. But I bit my tongue, and listened. The best of cities, he continued. The finest and most beautiful, was Shiva’s city, who blessed it with everything. He spoke with a quiet conviction, a deep contentment. Every word spoken as if it were a prayer to Shiva right there and then. I was quiet at this. I knew that Najindran had never ventured outside of Varanasi. And when he told me about his repeat foreign visitors, I knew that none of them had told him about their cities. Varanasi may at one time have been a grand city, and is still beloved today. Its ghats are still grand and imposing, a clear sign of a past age of power. But today with an engineer’s eye, I could see its desperate need for drainage and pipeworks, road systems and probably sanitation. There was no green space at all, anywhere. The exhibit at Jantar Mantar admitted the dire pollution of the Ganges into which pilgrims plunge themselves, and where the linens of the old city are laundered. India’s own academics know what needs to be done. No, his friends have not shown him Rome, nor does he know what Melbourne is like. He has not known the seamless movement of Amsterdam nor the organisation of Tokyo. But he does not need to know. My own people rose from deep poverty not that long ago – and we are surrounded by neighbours who are still striving to outpace it. So I cannot romanticise poverty and the lack of infrastructure. 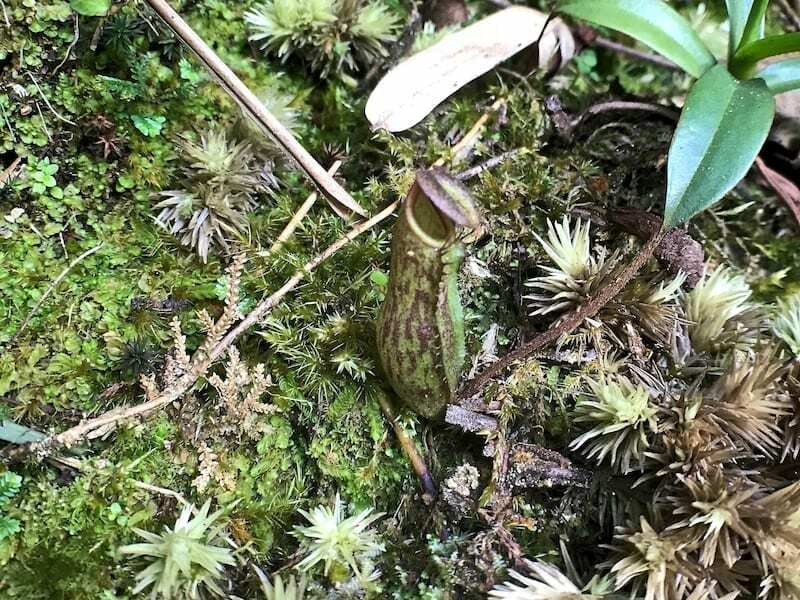 These are not exotic ‘experiences’ for me – they are problems that are still real. My generation was raised by the generation that built and maintained the support systems of modern civilisation, and many of us still carry such responsibilities ourselves. So that we could have the assurance of things like health and leisure and education and protection from exploitation. It is within living memory, what life was like without them. Maybe in the future, the structures of civilisation become so normal that we, too, would take it for granted, and become incapable of distinguishing the significance of their presence vs absence. But not today. Today, my response is as though it were my own city with my own people. I could not fail to see what needed done in Shiva’s City. Kashi. Anandavana. Rudravasa. Avimukta. – Appellations of Varanasi. 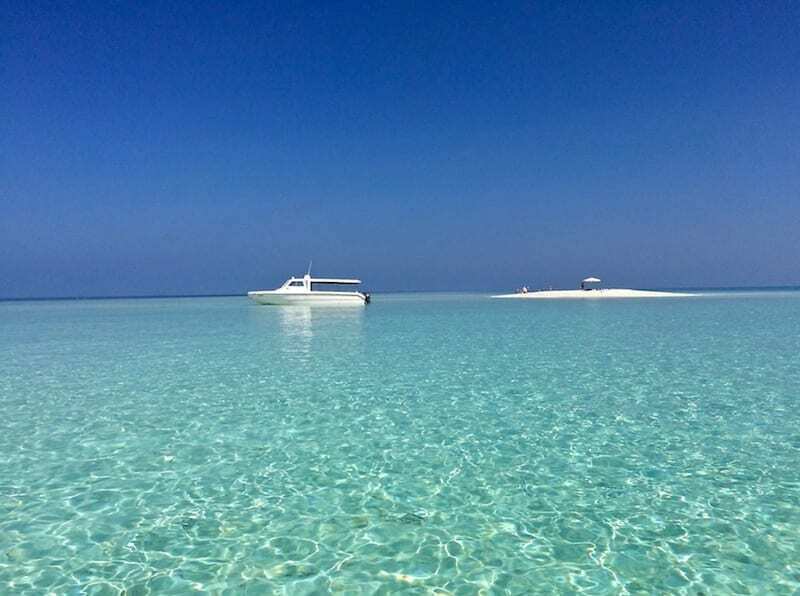 Your trip looks beautiful! The cremation pyres looks really interesting – right up my alley! LOL I don’t know that I would do it again – I was conflicted over my morbid curiosity. But since I was invited… when else would I be invited to witness something normally so private? My first trip to Goa/Karnataka was quite ok actually! Sirsi was just a sleepy rural town. I think there are definitely parts of India which are not overwhelming even for a foreigner. But Varanasi, and Uttar Pradesh in general, is definitely among the parts that are. 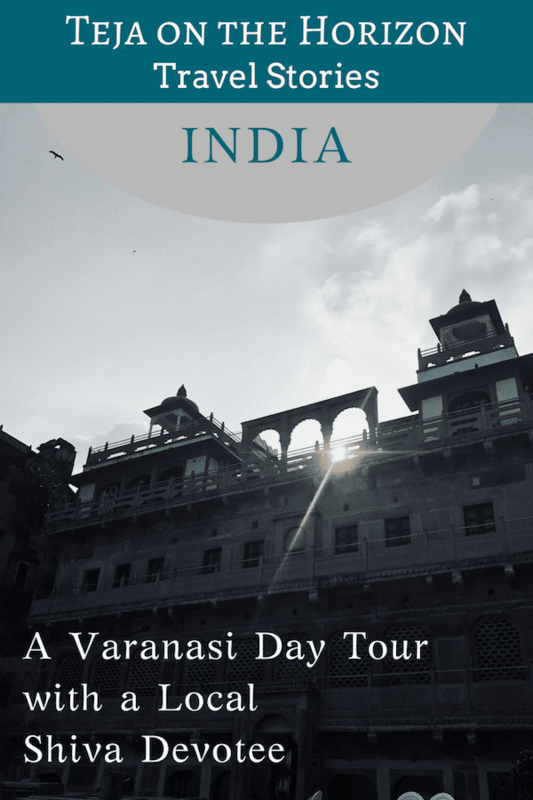 India is on my bucket list, and this writeup on Varanasi is very helpful. I especially like your descriptions of the different types of ghats. The photos are beautiful, too. This is such a heartfelt post. You bring the chaotic city of Varanasi alive through your words. The narrow bylanes, the ghats, the temples…everything in Varanasi has a story to tell. Thank you. A city so ancient, feels a certain way – I’m glad I could resurrect something of what that felt like! Beautiful writing Nuraini. You really transported me off with your on your journey around this city of contrasts. I have visited Varanasi before, but it was half a lifetime ago, and most of my memories are more feelings and images rather than facts or information about it. Reading this made me feel all nostalgic for visiting India. I’m glad it came off the way I intended! I was worried I would come across schizophrenic, trying to write about India. It has definitely challenged me as a writer, to re-create that atmosphere. An interesting read for a wednesday night. You have some great photos that complete the story. I don’t think its a place I would find myself very soon though. That’s ok. I didn’t think I would either – until last year. India is not a country that everyone can be prepared to experience. It can often be ‘too much’. But I hope my writings can help those who don’t make it there, understand the people who did go when they talk about India. What an experience. It sounds like your trip was greatly enriched by meeting this local guide. You make an excellent point about romanticizing poverty. They are very real problems. I guess despite infrastructure problems though, locals can still be proud of their city and what it has to offer to culture. Thanks for sharing, that was a very thoughtful and informative post. They are – extremely proud. Indeed a city is more than its shell. Varanasi has a very old world charm, and you have captured the narrow bylanes and ghats beautifully. I was very young when i visited, a return trip as an adult is a must. There’s something about very old world cultures. Something that I don’t get in fairly young countries – and by young I include even Europe, outside of the Mediterranean. A hint of suspicion from the residual awesomeness, that maybe, just maybe, one’s ancestors were cleverer and greater than oneself in the present day. And maybe, just maybe, the assumption that human progress is linear and upwards is just from the European experience for whom it has been true, due to the youth of that civilisation. What an interesting overview! I have never heard of this and had to do a quick google search. Some of that architecture is stunning! I loved reading this! You’ve captured both the chaos and the quiet reflection that is iconic of Varanasi! Definitely a city I’d like to see someday. That’s it exactly, isn’t it? That the two are somehow iconic of the same place. What a paradox!